These are perfect for so many cool applications. I really want to upgrade the static red and white LED strips on my Quadcopter with these so that the whole strips and function as a white strobe as well as navaigation lights and also to show warning events, like low battery etc. 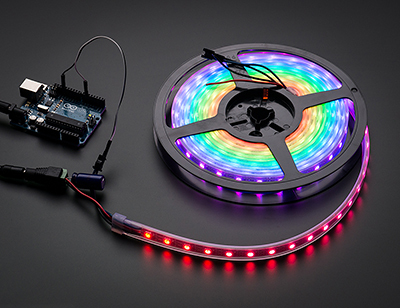 It is a shame that the newer 60 LEDs per meter strips require a more accurate timing signal but the link above suggests that this should not be a problem for the modern Arduino boards.